No other concept car in the history of Volvo Car Corporation has meant more for the company's technological advancement than the Volvo SCC (Safety Concept Car). Ten years after its 2001 world premiere in Detroit, the Safety Concept Car can look back on a fantastic "career". From the design viewpoint the SCC also inspired the design of the successful Volvo C30 model. The Volvo SCC is an early example of the cumulative effect of close cooperation between Volvo Cars' designers and engineers. "Concept vehicles are usually design or technology studies that give car buyers a taste of the future. The Volvo SCC, however, has added impact because it was both attractive and high-tech. It is an early example of how we design our cars around our customers' wishes, needs and limitations," says Volvo Car Corporation's President and CEO Stefan Jacoby. One of the project group's most important goals was to demonstrate the possibility of combining world-class safety with a sporty, sleek shape all packaged in a relatively small car. "When we began work on the concept car at the end of the 1990s, Volvo was still primarily known for making family cars designed to protect their occupants in a collision. The SCC signalled the start of a new approach which enhanced safety for the occupants, where the car's most important safety task is to help avoid dangerous situations and accidents in the first place," explains Östen Strandberg, who was responsible for the development of the Volvo SCC. He adds: "With the driveable Safety Concept Car, we showed that all these smart, collision-preventive technological solutions were within reach. It is fair to say that the success of the SCC project triggered Volvo Car Corporation's groundbreaking dedication to active safety systems." 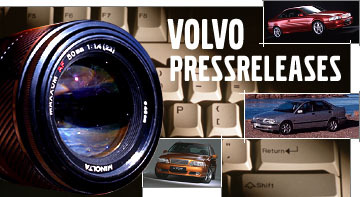 The Volvo SCC generated enormous interest at its unveiling to a massive audience on the Volvo Cars stand at Detroit Auto Show in January 2001. That autumn, the world press had the opportunity to test-drive the concept car in a closed-off section of Seville International Airport in southern Spain. The following year, Swedish Prime Minster Göran Persson was one of many people that tested the car - and later the car went on a nationwide tour of the USA, reaping immense praise from coast to coast. "The attention it attracted was actually greater than we dared hope. I'm convinced that this was largely because the SCC was attractive as well as technically advanced - but without being complicated. That's exactly the combination that echoes Volvo's approach and it is still our strength," says Mikael Edvardsson, one of the engineers responsible of the technology integrated into the Safety Concept Car. In 2002 work got under way on translating the technical studies showcased in the Volvo SCC into production-ready safety technology. 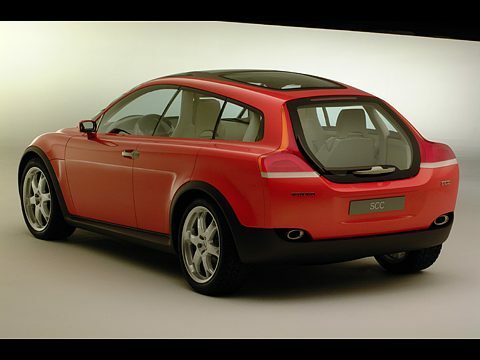 One year later, Volvo Car Corporation initiated the project that would result in the world debut of the Volvo C30 in Paris in 2006. Today - ten years after the premiere success - around 15 of the technological solutions presented in the Volvo SCC can be found in Volvo Car Corporation's model range. Technological solutions that now help drivers the world over avoid both minor incidents and major collisions. "One small but revealing example of just how much of the SCC made it into series production is the fact that even the car's livery became reality - the paintwork of the one-off SCC bears a remarkable resemblance to the Orange Flame colour that you can specify for your Volvo C30," relates Östen Strandberg. There's an exception to every rule, however. One of the SCC's most attention-grabbing features never made it into production: the Eiffel Tower-like see-through A-pillars remained a part of the C30 project, but eventually made way for a conventional alternative owing to obstacles when it comes to strength, build complexity and cost. Mikael Edvardsson sums up: "When the Volvo SCC was unveiled, it was packed with sensational technology. Bearing in mind the interest of the car-buying public in active safety systems today, it's easy to see that the concept car was way ahead of its time. It's evidence that Volvo is and will remain at the cutting edge when it comes to automotive safety."